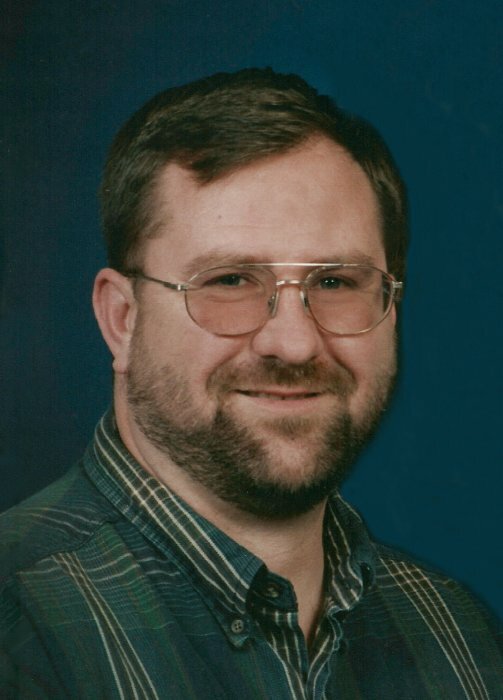 Obituary for Mark Siegel | McCombs Funeral Home Inc.
Mark Alan Siegel, 56, of Old Appleton, passed away Friday, August 17, 2018 at his home. He was born December 10, 1961 in Hammond IN. to Robert and Dolores Kotul Siegel. He and Michele D’Alessio were married September 18, 1992 in Livingston NJ. Mark was a member of Lake Side Worship Center in Gordonville and American Legion Post 135 in Perryville. Mark spent his younger years in New Jersey before the family moved to Michigan where he graduated High School and joined the Navy. Upon his honorable discharge from the Navy he returned to New Jersey where he met the love of his life Michele. They were married and moved to Old Appleton where he worked at Heartland Care and Rehab for 13+ years. Mark loved to vegetable garden and was extremely mechanically inclined; he could and would fix anything. His life’s devotion was to learning and teaching the Bible. He was preceded in death by his father and an infant brother Bobby. Visitation will be Friday August 24 from 5 – 7 pm at McCombs Funeral Home and Cremation Center in Jackson. A memorial service will at 7 pm at the funeral home with Rev. Dan Chaney officiating, followed by military honors. Memorial contributions may be made to Lake Side Worship Center. To view Mark's personal video, click below.